Brentwood mother of three Jennifer Luteran said she wants to run for the District Seven seat to create transparency for parents when creating the budget and rezoning students. 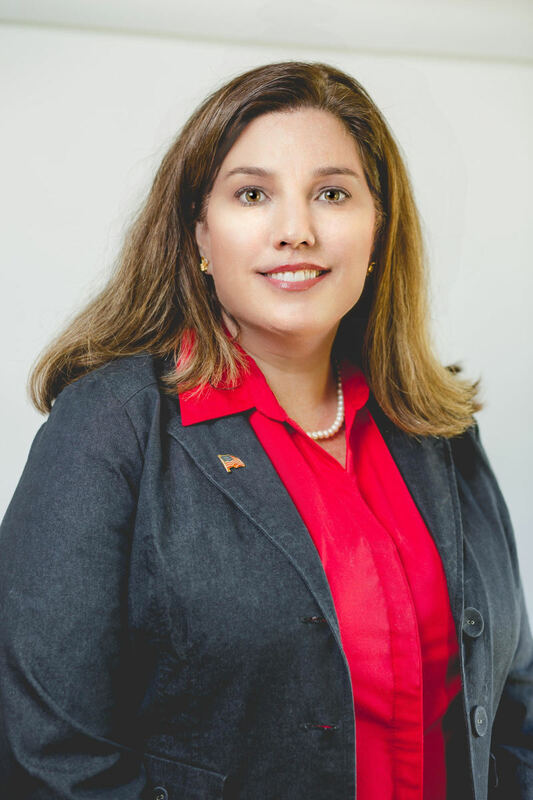 Brentwood mother of three Jennifer Luteran said she wants to run for the Williamson County School Board District Seven seat to create transparency for parents when creating the budget and rezoning students. Luteran moved to Williamson County in 1997. She later married her husband in 2003, and she lived in Cool Springs. The family later hopscotched to Brentwood in 2013. Two of her children attend Edmonson Elementary School, and the other attends Brentwood Middle School. She has stayed involved with the PTO at both schools. Luteran attended Birmingham Southern, where she obtained a business degree and later went to Cumberland School of Law for her law degree. She worked as a lawyer until she had her oldest child. “I think that our county is great and our schools are fabulous,” she said. “I think there is a lot more that we could do. Rezoning is one of the first issues the new board will deal with together as the Nolensville schools open and Thompson’s Station on the horizon. What’s your philosophy on school rezoning, grandfathering and the anticipation of future growth for rezoning? My philosophy is to try and keep feeder patterns intact whenever possible. I think that rising fifth-, eighth- and 12th-graders should be grandfathered. I also think that the sibling(s) of these students should be grandfathered as well if the sibling(s) is/are already at the existing school, or will be at the existing school the school year the rezoning is to take effect. What is your position on standardized testing – is there too much, too little? I think that we have entirely too much standardized testing. I would like to see the return of the days where our children are tested once at the end of each school year. The current testing is too long, difficult and has reflected many examples of inappropriate content. I would have liked to see Williamson County Schools announce several weeks prior to TNReady part two that given the admitted failure of TNReady part one, our county would not be partaking in TNReady part two. We need to get back to letting our teachers teach. What is your position on Common Core, and do you agree with state phasing it out? I am not in support of Common Core. I think that it shouldn’t be phased out, but immediately eliminated, with all control being returned locally. The same policies that forced adoption of Common Core standards require use of the Common Core tests to evaluate educators and students. These tests have been shown to be unreliable and inaccurate. The costs of the tests, which have multiple pieces throughout the year plus the computer platforms needed to administer and score them, are enormous and come at the expense of more important things. I am afraid that if we continue to support Common Core’s “college and career ready” platform, we will push more kids out of high school than we will prepare for college. What do you think of current state education standards? From what I have reviewed, the new state standards are Common Core standards with nothing changed but the name. The parents and educators have made it clear that they do not support Common Core. Simply renaming the standards is not what they asked for. Do you think world religions should be part of history or social studies curricula? I have no problem in teaching world religions as part of this curriculum as long as it is taught accurately with no biases to one religion or the other. What is your opinion of the current state of WCS and the current leadership? I think that our schools are a wonderful asset to our community. The schools have active parental involvement and wonderful teachers and staff. I think that Dr. [Mike] Looney has a very difficult job and takes this responsibility very seriously. The school board has been somewhat dysfunctional lately. I attribute this to very different personalities on the board as well as the disrespectful tone of certain board members. We need a board that can function as one cohesive unit, and I don’t see that being a possibility with this current board. What is the best thing about WCS? The parents, teachers and children. Without these three, our schools would not be the number one county in the state. What needs attention and what aspect of it could need adjustment? I believe that our schools could explore other means to bring additional resources to our schools. I would like to see the business community and the schools work more closely together in a beneficial manner for both. I would also like bring about greater transparency to the budget, rezoning and educational process. If I want to look at the 2016 budget, you can’t find it online. It might be buried to an attachment on a school board agenda, but it’s not on the website under budget. We need to have an open checkbook, and we as taxpayers need to know where the money is being spent. It needs to be broken down where the average person can look at it and offer savings suggestions. Emily West covers Franklin and Williamson County government and schools for Home Page Media Group. Contact her at emily@franklinhomepage.com. Follow her on Twitter via @emwest22.